Good morning everyone and welcome to our 10th and final edition of Life Saving Health Solutions for 2014. Can you believe it’s almost Christmas and nearly 2015? Where did this year go? Are you starting to think about and plan your new year’s resolutions and goals for 2015? If you are I hope you’ve included your health goals and health resolutions in your list (the most important of all). For your own sake (and your families) 2015 must be the year you start on the road to good health and longevity, if you haven’t already done so. Anyway, that’s my lecture for the day out of the way, now let’s get on with what I really want to talk to you about… the amazing and potent healing qualities of the coriander and rosemary herbs and how new research has discovered that taking probiotics have can help you lose weight and reduce belly flab! Coriander rarely gets any attention these days in regards to its incredible health and healing benefits, but it definitely should be. Believed by the Chinese to bestow “immortality”, coriander (cilantro) has been used and prized for thousands of years across the Mediterranean, Middle East and Asia. Its use has been traced back to 5,000 BC and was even discovered by archeologists in the Egyptian pharaoh, Tutankhamen’s, tomb. Coriander has played an ongoing and important role in ancient medicine and was actually one of Hippocrates favourite health and healing foods. Arthritis: Coriander has been traditionally used in India for its powerful anti-inflammatory benefits, and as such, is considered a terrific arthritis reliever. Auto-immune diseases: Auto-immune diseases such as psoriasis, rheumatoid arthritis, lupus, eczema, and many more, can all be helped with coriander since these are primarily inflammation-type disorders. Small pox: Known to treat and cure small pox very effectively and safely. Diabetes: Coriander is a potent natural treatment for diabetes and is excellent for increasing insulin levels in the blood. Cholesterol: Easily lowers bad cholesterol while increasing good cholesterol, banishing the need for harmful statin drugs. Cancer: Coriander contains coriandrol, a substance used to treat liver cancer. Combined with a healthy diet, coriander is believed to be effective in helping prevent certain cancers such as liver, breast and colon cancer. 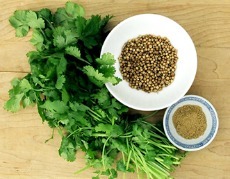 Hypertension: Coriander has been shown to reduce blood pressure in patients suffering from hypertension. Removal of heavy metals: Heavy metals in the body are the #1 contributor to chronic diseases such as Crohn's disease, fibromyalgia, multiple sclerosis and Alzheimer’s. Coriander is instrumental in removing mercury, cadmium, lead and aluminium from the bones and central nervous system. Candida and yeast fungus overgrowth: Because of its potent anti-fungal properties, coriander has been proven to be effective at killing Candida Albicans and other digestive invaders. This in turn promotes the growth of healthy gut bacteria and improves immune function by a large amount. Digestion: Coriander helps with the secretion of enzymes and gastric juices in the stomach to stimulate and improve digestion. Food poisoning: Coriander has shown excellent results against all major food-borne illnesses. Researchers from the University of Beira Interior in Portugal report that oil extracted from coriander seeds can kill bacteria related to food-borne diseases such as E. coli. They tested the effect of coriander oil on 12 bacterial strains, including E. coli, salmonella and MRSA (an antibiotic-resistant type of staphylococcus). Out of the 12 tested, every bacterial strain showed reduced growth and most were quickly eradicated. Coriander is very easy to grow in your garden and using it fresh in your cooking as much as possible is definitely a smart move. This herb is flavoursome and tastes good (in my opinion) and can be added to most dishes, soups, salads, etc, and even a smoothie if you like. But the seeds, and the oil contained in the seeds, are also highly prized and extremely beneficial as well. Once the plant flowers, these flowers then turn to seeds, which you can then harvest and eat. But you must allow the seeds to turn brown on the plant first though before picking. Most people keep the seeds in a jar and eat them for a quick and easy snack. If you aren’t able to grow your own coriander you can easily purchase cold pressed coriander oil or the seeds from most health food stores or online. Wow! In a recent laboratory study, the essential oil of the rosemary herb was shown to reduce the viability of two types of ovarian cancer cells, SKOV-3 and HO-8910, by up to 94%. The oil was also able to reduce the viability of liver cancer cells (Bel-7402) by 90% after only 48 hours of treatment! 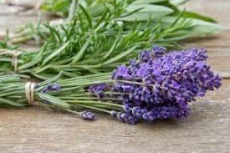 Rosemary contains the active compounds alpha-pinene, beta-pinene and 1,8-cineole, all of which are extremely effective against ‎cancer cells. This herb is native to the Mediterranean region and used extensively in their cuisine. Some researchers believe this could help explain the lower incidence of cancer in this region compared to the rest of Europe, USA and Canada. For example, the rate and incidence of cancer in Greece is only half that of the USA. Rosemary is now being studied more for its anticancer potential and has already shown promising activity against breast, prostate and colon cancers in laboratory studies. What Else is Rosemary Good For? Another powerful benefit of rosemary is it helps to increase memory recall. In fact, after a recent study researchers actually came out and said that sniffing rosemary can increase your memory by as much as 75%! Of course, the Greeks already knew this secret hundreds of years ago and students would routinely wear a rosemary wreath when sitting exams to boost their memory recall. Rosemary is even easier to grow in your garden than coriander. You literally can’t kill this stuff! I had to remove some rosemary bushes from the back yard recently to make way for a new garden, and already, three new bushes have already sprung up! I love to break off a couple of branches from my rosemary bushes and sniff them. This really helps to clear the sinuses and the head. I also make up and drink a rosemary, ginger and honey tea every day and my wife uses it a lot in her cooking. So be sure to get some rosemary growing in your garden or in a pot right now and start enjoying the wonderful health benefits! In the study, performed at the University of Manitoba in Canada, participants were given two different types of probiotics, either Lactobacillus fermentum or Lactobacillus amylovorus. It’s also worth noting that researchers provided all of the food for study participants to make sure there were no abnormalities in serving sizes or what was eaten. So what they discovered at the end of the study was participants who consumed the L. amylovorus probiotic had 4% less fat than what they had at the beginning. And the people who ate foods containing the L. fermentum probiotic reduced their body fat by 3%. Researchers also reported the majority of fat lost was stomach fat. So How Do Probiotics Actually Burn Belly Fat? Probiotics are live organisms that are a food source for healthy gut bacteria. These beneficial bacteria fight off and suppress the bad bacteria in the digestive system. As a result, probiotics create an accommodating environment for a healthy immune system (over 70% of the immune system is actually located in the gut), along with promoting optimal intestinal function. But the way in which probiotics help to burn stomach fat is by preventing “fat calories” from being absorbed through the intestines. Probiotics destroy bile salts, which are produced by the liver and help the intestines to digest fat. By destroying these bile salts, fat absorption is blocked, and instead, is safely eliminated in the waste. One of the big benefits of consuming probiotics is they do not have any of the unpleasant side effects that many of the fat-blocking weight loss products do. For example, one frequent problem with fat-blocking products is they cause awful diarrhea or liquified stools. Probiotics, on the other hand, support intestinal health and therefore promote good and healthy bowel movements. While it’s true that eating probiotics alone is not a “be all and end all” approach for weight loss, it will (hopefully) still become one of the key recommendations doctors make to their patients. Combined with physical activity and a healthy diet, probiotics are definitely one of the most important factors for safe and consistent weight loss. •	Bacterial vaginosis and vulvovaginal candidiasis. Taking a good probiotic supplement every day really should be the “standard” for every man, woman and child on the planet. Fermenting and culturing foods is also an excellent way to make sure you receive plenty of probiotics and prebiotics, including the crucial lactobacillus bacteria. The most important thing you need to remember about probiotics is you can never have enough of them and you can never overdose on them. In fact, the more you take in and the more you have growing and thriving in your digestive system the better! The problem with most people today is they think that by eating a bit of yoghurt every day (such as Activia) they’re getting all the necessary probiotics their bodies need. The truth is, however, you aren’t getting anywhere close to your daily requirements by doing this! Although yoghurt can be a good source of important lactobacillus bacteria, it’s still not enough so daily supplementation, along with eating and drinking fermented foods and liquids, is absolutely crucial… whether you’re interested in losing weight or not! A new report that has just been authorized by U.K. Prime Minister, David Cameron, suggests that antibiotic-resistant “superbugs” will be responsible for killing more people world-wide each year than cancer by the year 2050. What’s more, if this does become a reality, medical procedures that require antibiotics such as joint replacement surgery, chemotherapy, Caesarean sections and transplant surgery may actually be denied and stopped for safety reasons. And of course, do you know where the worst place is to get infected by a superbug? 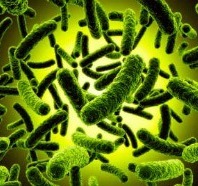 Many experts now believe that superbugs are the greatest threat to human existence, even more so than diseases such as cancer. 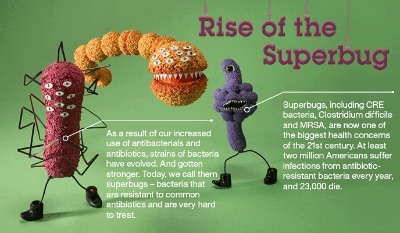 The overuse of antibiotics is the driving factor behind the creation of superbugs. When doctors prescribe antibiotics when they aren’t really necessary, it can cause regular bacteria to develop genes that are resistant to drugs. Some bacteria can mix and match genes, so they can eventually build up a large amount of genes which are resistant to virtually all antibiotics – making them superbugs. Another major problem and cause is the overuse of antibiotics in animals. According to statistics from the Food and Drug Administration, as much as 80% of the antibiotics sold in the U.S. are fed to animals. Giving drugs to animals to promote growth or prevent disease is also thought to play a big part in human antibiotic drugs losing their effectiveness. Having a compromised (weak) immune system allows bacteria, viruses and protozoa to easily infiltrate the human body. Imagine a fort with a 100 metre wall around it that has giant holes blasted through it. It wouldn’t take much for the enemy to get in would it? But if that wall was solid all round with soldiers protecting every inch it would be almost impossible for the enemy to infiltrate. Well, your immune system is your wall and your body is your fort. You can either make your immunity strong or you can leave it with lots of holes and just hope that nothing gets in. I prefer to make it iron-clad solid so no unwanted bugs can ever get in. 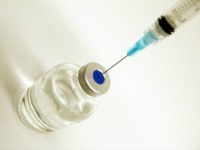 "Ebola Vaccine Trial Recently Halted"
It’s no secret that pharmaceutical companies are currently scrambling like mad to come up with a vaccine for the Ebola virus. They all know that whoever is the first is going to see their share price rocket into the stratosphere! But corrupt pharmaceutical company Merk has suffered an early setback in the clinical trial of their Ebola vaccine. Apparently, it’s no big deal though, just some nasty joint pain suffered by four of the healthy volunteers (it bewilders me why anyone would actually want to be a test guinea pig for an untrialled and untested drug and wilfully allow that garbage to be injected into them. Each to there own I guess). GlaxoSmithKline’s trials for their new drug are going great guns though. According to Professor Blaise Genton who’s leading the study… "General symptoms such as fever might be slightly more frequent, though no serious adverse event has been observed so far." Wow, I’m feeling all warm and fuzzy after those positive comments. The final results are due out at the end of this month and I’m willing to bet they’re going to be fixed, I mean, all good! It’s also interesting that GAVI (global vaccines alliance) came out last Thursday and pledged $300 million to buy Ebola vaccines. Like I said, someone’s going to get very rich out of this. All right, I admit I’m being sarcastic and probably a bit obnoxious about these vaccine trials but I can’t help it. Money hungry “big pharma” just seems to bring out the worst in me. Anyway, if you want to keep the Ebola virus away naturally and safely then just follow the immune boosting tips from the “superbugs” article above. So that ends this edition of Life Saving Health Solutions. I would like to take this opportunity to sincerely thank all of you for supporting us this year. 2014 was a massive year for us. We managed to take our website from a traffic ranking of 1.2 million (out of over a billion websites on the internet) down to 160,000 in only 9 months. Our newsletter subscribers also quadrupled this year. So thankyou once again and I hope you stick with us again next year. We also have a few exciting things planned for next year including a brand new “health articles” section where various health experts will be contributing their own articles and sharing their pearls of wisdom with you. I’m also confident of securing another interview with all-round Mr Nice Guy, Rick Simpson, along with Cancer expert and author Ty Bollinger. So stay on the lookout for those. 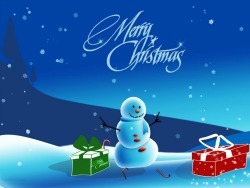 In the meantime, have yourself a really great Christmas and New Year, stay safe and don’t eat and drink too much! P.S. If you like this e-zine, please do a friend and us a big favour and pass it on to them. If a friend did forward this to you and you like what you've read, please subscribe by visiting our website below. P.P.S. If you've missed any of our Life Saving Health Solutions newsletters then simply click on the back issues link to read.